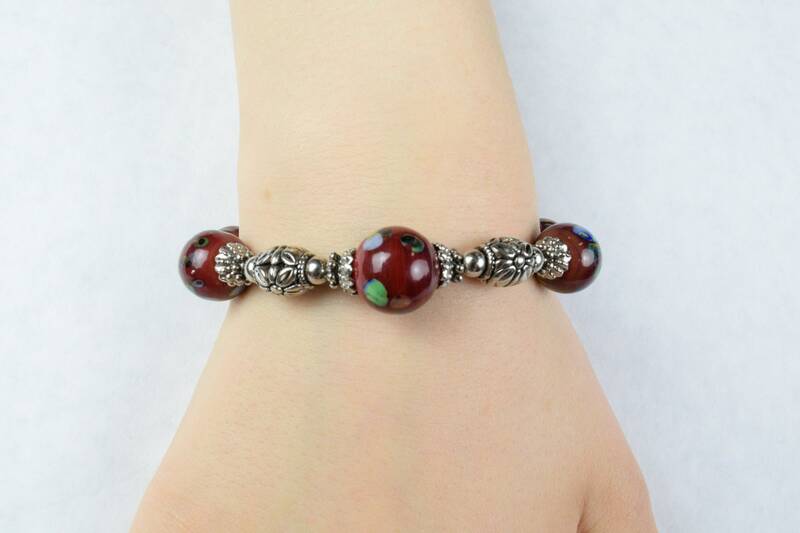 Each vintage red bead is unique with touches of yellow, blue, green and white. Silver plated flower beads frame the focal point bead. This handcrafted piece features glass wire-wound lamp beads made in Korea, nickel metal beads and silver plated findings. Beautiful piece! These vintage red beads have never been used. A retired bead wholesaler found these vintage beads tucked away in a forgotten corner of their warehouse. They were originally purchased during a trip abroad. Makes a great gift for daughters, granddaughters, mothers and cousins.